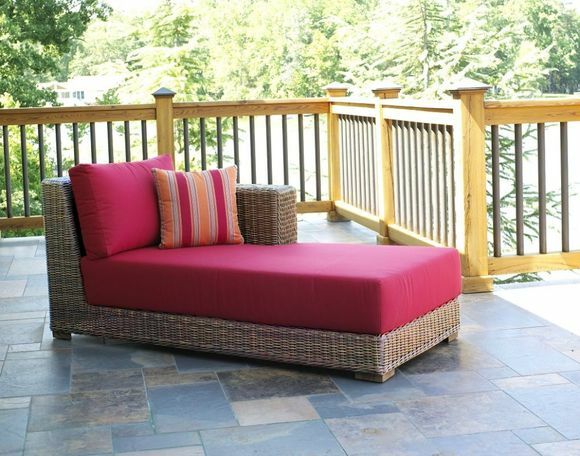 The Santa Barbara outdoor wicker chaise is as inviting and comfortable as it is elegant. The synthetic wicker is woven on a powder coated aluminum frame and features a 9 inch thick bottom and back cushion. Available in Sunbrella logo red the chaise also includes the throw pillow as shown. Hurry only 1 left!